(1) For a Full 100% refund the cancellation must be made before 2:00 P.M. European Standard time the day PRIOR to scheduled delivery. (2) If the cancellation is received after 2:00 P.M. European Standard time, a 50% refund will be issued. (3) No cancellations or refunds can be given for same day orders. If your gift is en route on delivery day or has been delivered, or refused by the recipient, we will be unable to Cancel or Refund the order. (4) Cancellation and refunds are not available for failed delivery attempts when incorrect delivery information has been supplied. (5) No refunds on Special Orders. Once a Special Order has been accepted and paid for by the client, it cannot be cancelled or refunded. We cannot accept orders from customers under the age of eighteen (18) years. Delivery Services - Should you require your delivery to be made within a specific time period, you can ask on your order form for your flowers to be delivered am or pm! Please note some services are subject to availability and that at certain times of the year these prices can vary. We will advise you of services available at the time of placing your order: Please note that where the carrier is unable to find someone to accept delivery, or unable to leave the delivery in a secure location, they will return the flowers to the shop and you will be informed. We reserve the right to charge for re-delivery to that or an alternative address. We cannot accept orders for timed delivery overseas due to differences in international time zones. We shall not be liable for any failure to perform in our obligations where such failure is as a result of Acts of God (including fire, flood, earthquake, storm, hurricane or other natural disaster), war, invasion, act of foreign enemies, hostilities (whether war is declared or not), civil war, rebellion, revolution, insurrection, military or usurped power or confiscation, terrorist activities, nationalization, government sanction, blockage, embargo, labor dispute, strike, lockout or interruption or failure of electricity. 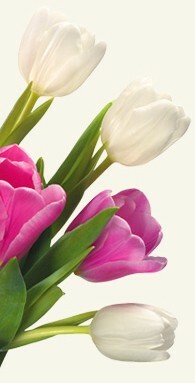 We always try our very best to ensure the flowers/products ordered are delivered as you wish and in excellent condition. Should you be dissatisfied with the flowers/products in anyway, please let us know within 7 days of delivery, providing a clear photograph and a full explanation of your dissatisfaction. 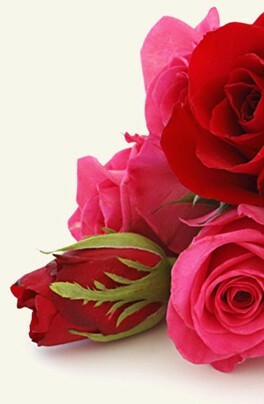 If the complaint is regarding the quality of the flowers, we require the photograph to be taken on the same day the flowers were delivered or next day at the very latest. Our Customer Service Department will look into your concerns and respond as quickly as possible. Refunds will be given only if the complaint regarding the flowers/products proves to be valid. By making payment at the end of the order process, you are consenting to be bound by our Terms and Conditions contained in these terms and conditions and appearing anywhere on the website.